Success isn’t in the kind of car you drive or the house you live in. It’s not in your relationships at home or work, and it’s not in your bank account. Success can be measured in the amount of happiness you have and share in the world. How successful are you? 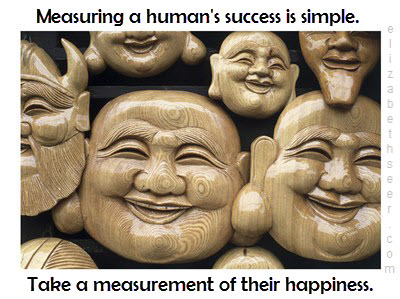 happiness, happy success, measure happiness, measure success, measure your happy, success, successful people. Bookmark.